Question: How do Hollywood’s brightest stars spend the day before the Oscars? Answer: Drinking Capri-Sun style pouches of Pimms in a rain sodden tent by the sea. 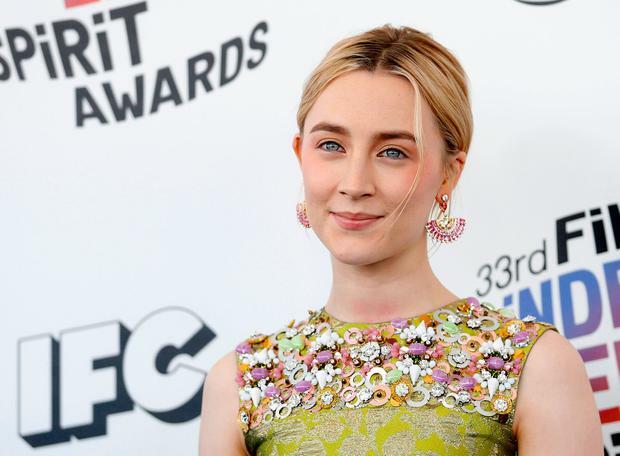 Yesterday afternoon, actors and filmmakers gathered in an overcast and showery Santa Monica for the 33rd Independent Spirit Awards - which celebrates movies made for a budget under $20 million. Held in the middle of the day, the awards show is a laid back, boozy precursor to tonight’s Academy Awards. 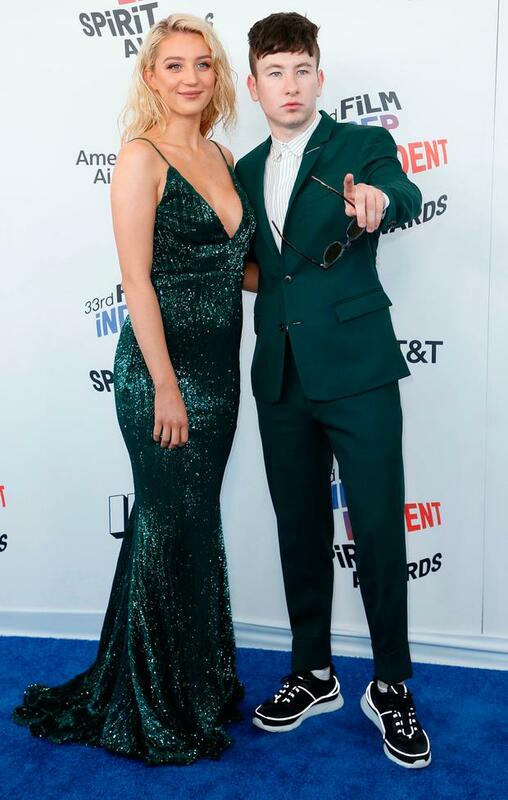 “The dress code is ‘get dressed’,” host Nick Kroll said. 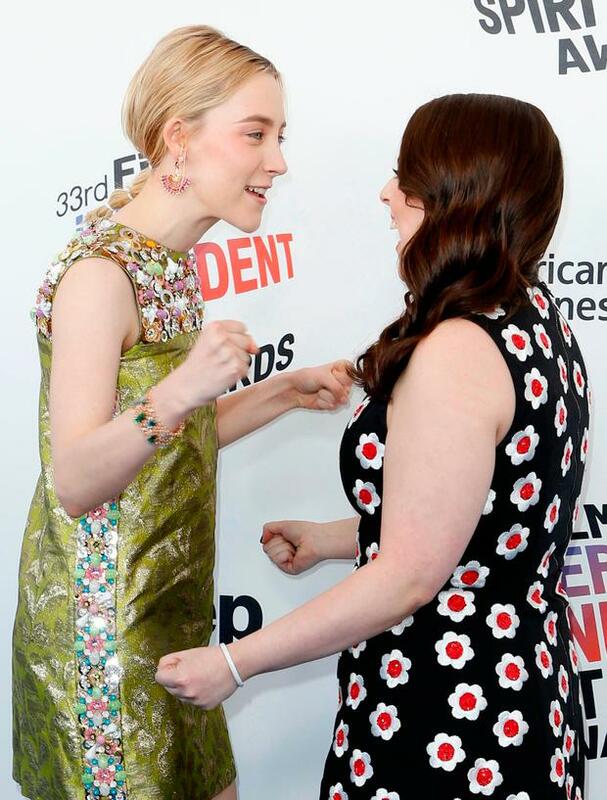 Carlow native Saoirse Ronan arrived with her Lady Bird co-star Beanie Feldstein in a 1960s inspired embellished Green Prada dress. Ronan was up for Best Lead actress for her role in Greta Gerwig’s Lady Bird but lost out to Frances McDormand. Barry Keoghan who was honoured earlier in the week at the Oscar Wilde Awards was also in attendance for his role in The Killing of the Sacred Deer. Sadly, he missed out and the Best Supporting Actor award went to Sam Rockwell. Jordan Peele’s horror film Get Out was the big winner taking home Best Director and Best Film. The last four Spirit Best Picture winners have gone on to pick up the Best Picture at the Oscars, Moonlight, 'Spotlight, 'Birdman, '12 Years a Slave. Asked if this made him hopeful about the outcome of tonight’s Oscars he replied; "It's Saturday. Tomorrow's tomorrow. That's what's up." The film, which was made for just $4.5 million and grossed $255 million worldwide, won over audiences and critics for its depiction of racial prejudice. "This project didn't start as a statement," said Peele. "It began as me wanting to make a film in my favourite genre. “I sat down and would smoke a little weed and try to write a mind-bending horror film, my favourite genre and at some point I followed the truth and I realized there are people locked up for smoking less weed than I smoked writing the movie." Lady Bird writer-director Greta Gerwig won best screenplay for her coming of age feature. While Alison Janney was named Best Supporting Actress for her role in I, Tonya and credited her background in competitive figure skating for giving her an understanding of Tonya Harding’s mother. Oldest Oscar nominee Agnes Varda won the Best Documentary category for Faces Places. She said the win meant she was not nervous about tonight’s black tie event. “We’ve won this so the trip over was not a waste,” she said. Discussing the recent allegation of abuse and misconduct in Hollywood, hosts John Mulaney and Nick Kroll jokingly asked if it was possible to separate the artist from the art for some of the men.